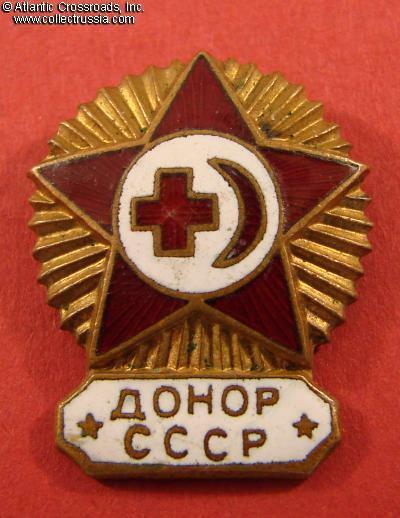 Blood Donor of the USSR badge, circa 1950s. Brass, enamels; 27 mm tall. 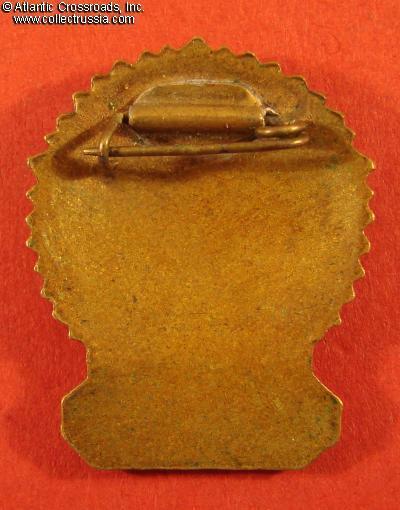 Pin back attachment. Established in 1946. In excellent condition. There are some tiny scuffs and contact marks to enamel, but no chips, visible flaking, or any other serious flaws. Please note: our photos show an example; if you order we will select a badge in equal condition from our existing inventory.